Pac Fire Australia offers Microchem 4000 hooded chemical suits, which have been designed to provide protection against hazardous liquid chemicals. 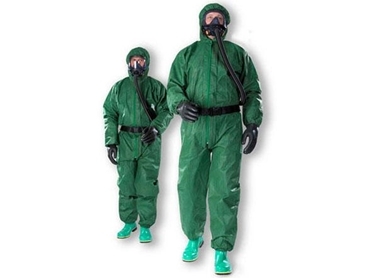 These chemical protection suits feature a unique five layer fabric that combines a lightweight textile feel with a solid barrier against liquid chemicals. They have been tested to CE Type 3 (pressure spray) and Type 4 (saturation spray), ensuring resistance to a large number of chemicals. In fact, over 100 chemicals have been tested against the fabric to the EN 374-3 permeation test. a unique double zip flap. The gauntlet length storm cuffs enable a secure seal with chemical gloves at the wrists, with inner cuffs featuring comfortable knitted cuffing.